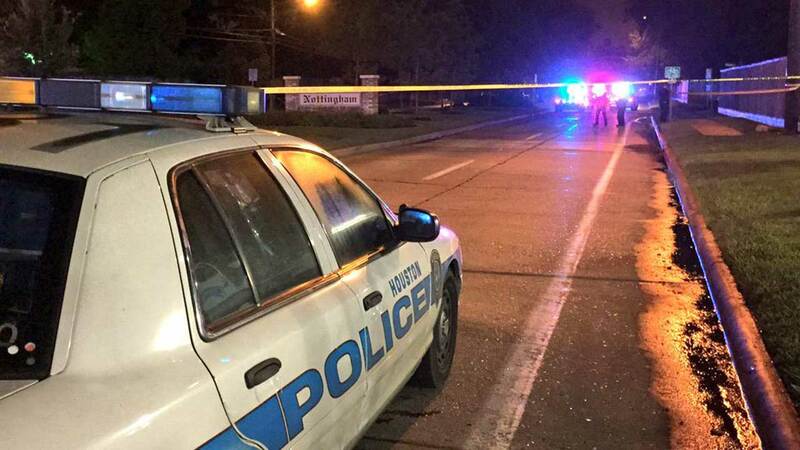 HOUSTON (KTRK) -- The Houston Police Department is in mourning and a community in shock after authorities say a carjacker being chased by police intentionally ran over an officer. 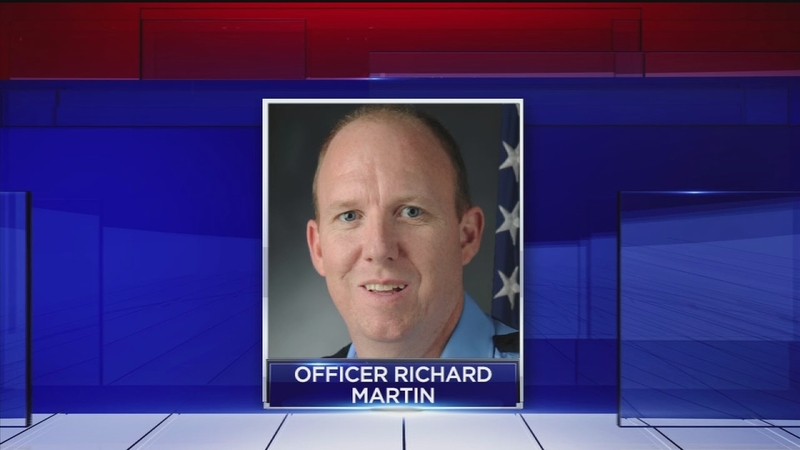 That officer, Officer Richard Martin, died at the scene. Court records show the man believed to be at the center of this chase, Jeffrey Conlin, 33, has been arrested multiple times and has four convictions on his record. None are nearly as serious as what he's accused of today. Officer Richard Martin died early Monday morning as he was trying to bring a police chase to an end. 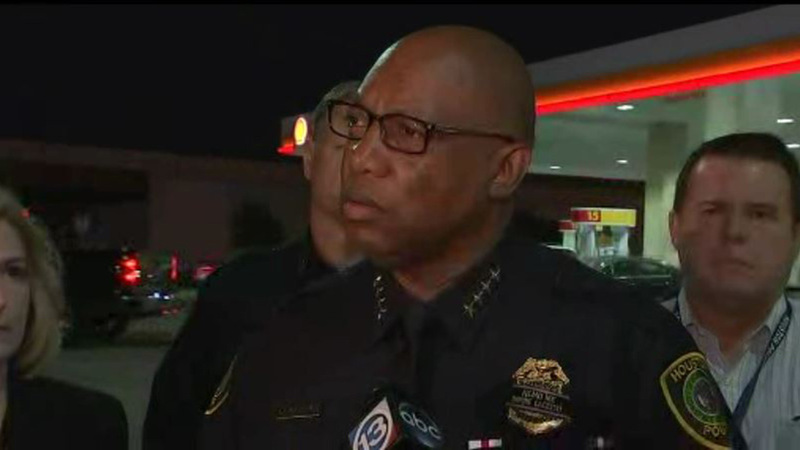 An emotional HPD Chief Charles McClelland spoke to reporters, standing by the decision to chase a man speeding in a stolen UHaul. "The men and women of HPD, this is what they do day in and day out to keep this city safe," Chief McClelland said. "Obviously we have to chase and apprehend suspects who have done harm to our community and made our neighborhoods unsafe." An HPD police officer was killed during a high speed chase early this morning that spanned across Houston, a spokesperson confirmed to Eyewitness News. Officers were responding to an attempted burglary at a gas station at Highway 290 and Fairbanks. "I heard a boom. As soon as I heard the boom I said, 'Yeah, we got robbed,'" says the clerk on duty at the time, who wished to remain anonymous. Investigators say they don't believe the suspect in the chase is connected to the burglary, but police saw him make an illegal U-turn and run a red light. Officers chased and tell us he shot at them. Police say he led them down the Katy Freeway, got off and carjacked a woman at Highway 6. He pushed her out at Highway 6 and FM 529 and kept going to Kirkwood, where police say he intentionally ran over Officer Richard Martin as he was putting down spike strips. Officer Martin's captain says he wasn't involved until the very end when he was run over while trying to put an end to the chase. "It shows he wanted to get involved and help out in the chase so nobody would be hurt," said HPD Capt. Paul Follis. That suspect, Conlin, kept driving to North Shepherd and W. Little York where police say he shot himself in the head. He survived, but was taken to the hospital in critical condition. A police officer was killed during a high speed chase in west Houston while trying to deploy spike strips. Police say the suspect intentionally ran over the officer. Court documents show Conlin no stranger to the law. His first adult conviction was at 19 and for criminal mischief. His most serious conviction was for a high dollar theft. In January, the felon was charged with having a gun, body armor and drugs. When he didn't show up to court in February-more than 3 months ago--warrants were issued. If he survives, Harris County District Attorney Devon Anderson says the charge will be easy. "He will be charged with capital murder of Officer Martin. And the question will be why we shouldn't seek death," she said. Officer Martin was 47 years old and has been in the department for four years. He has two children. His ex-wife has requested for The Church of Jesus Christ of Latter-day Saints to conduct his funeral on Friday. It is with heavy hearts that we announce we have lost one of our own in the line of duty. 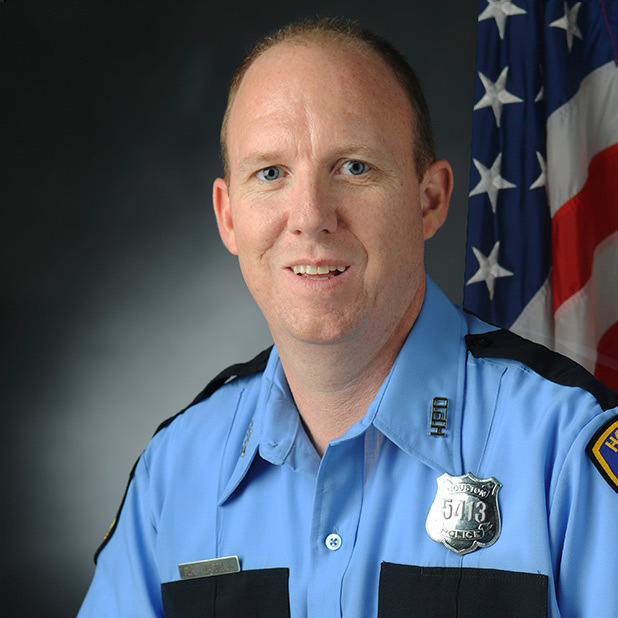 Officer Richard Martin was struck and killed by a suspect vehicle during a pursuit. He was a 4-year veteran of HPD. Please keep Officer Martin's family and the men and women of HPD in your thoughts and prayers.